I jest, but at some point we're really going to have to have a serious conversation about the plight of the Broadway attendee who's tried for months to "win" tickets to see Hamilton but keep getting that soul-crushing rejection email informing us that yet again we are unable to see the show. Is there a total number of times for us to apply and fail until we are just granted admittance for our persistence? Or, is there a support group for us to talk about our dashed feelings and listen to the soundtrack on loop? The irony is here that I actually wasn't that pressed to see Hamilton up until recently. I couldn't understand the legions of fanatics chanting the soundtrack and quoting it amid random conversation. It was like everyone was under a spell and it had somehow bypassed me. That is, until Hamilton's America. the new PBS documentary that is at once a consolation prize for those who have been aching to see the show and a damn good promotional tool for those (like me) who hadn't yet crossed over to the 5th Hamilton dimension. Guys, this documentary has H Y P N O T I Z E D me. All of a sudden, I am humming/rapping the few verses I have been able to memorize from the film, and--wait for it--applying for the lottery every day. Yes, I have become a Hamilnut. 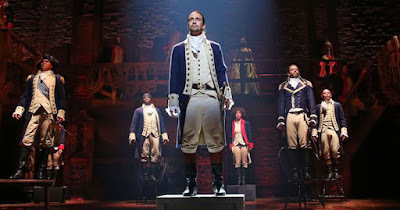 I had the pleasure of watching the documentary with an intimate audience of 3,000 at the United Palace Theater here in New York with--again, wait for it--none other than the show's Tony Award-winning creator and Alexander Hamilton himself, Lin-Manuel Miranda, Christopher Jackson (who plays George Washington), and Robin Roberts. Needless to say, most of us commoners were glued to our chairs with Cheshire cat smiles. Not only do we finally get to see some amazing clips from the show (featuring the original principle cast members including Miranda, Jackson, Philippa Soo, Daveed Diggs, Leslie Odom Jr., and Renee Elise Goldsberry), but director Alex Horwitz takes us on the fascinating journey of the narrative--from its genesis to its award-winning and record-breaking success. 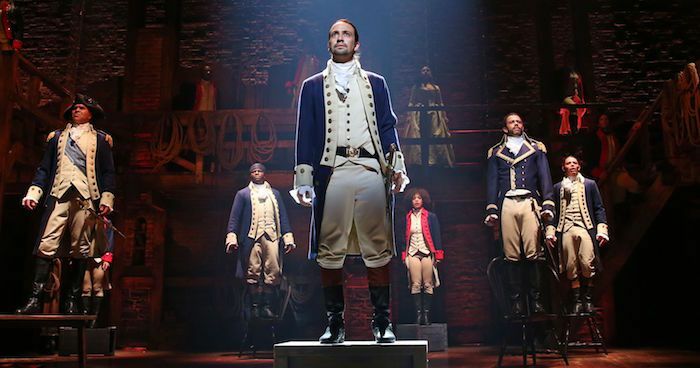 From coming up with the idea for Hamilton after reading author Ron Chernow's 826-page tome, Alexander Hamilton, on vacation, to juggling impending fatherhood and composing the lyrics for each Hamilton track (up until just a few weeks before opening night), to discovering and conveying a deeper parallel between the story of Hamilton himself (an immigrant from the West Indies) to the story of so many rappers and musicians whose descendants also hailed from another country and came to America where they struggled and hustled and worked their tails off to achieve the elusive American Dream (hence, where Miranda got the idea to compose the score as mostly rap songs). 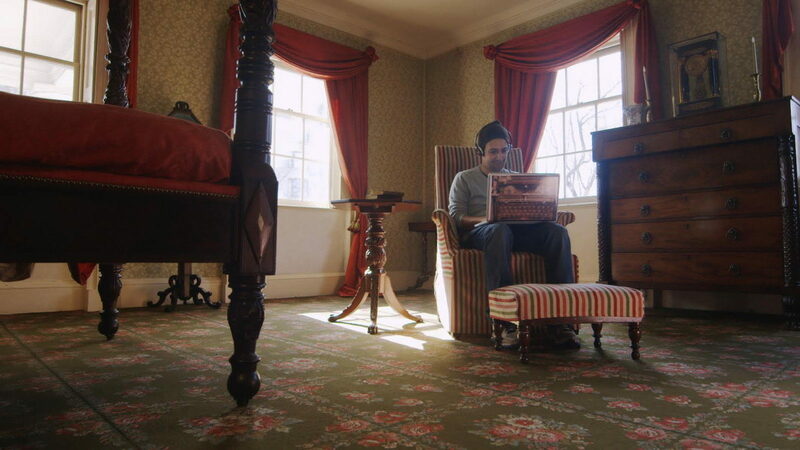 But we don't just hear from Miranda in Hamilton's America (to his own admission during the post-screening conversation with Chernow and Horwitz, this story is far greater than him). Cast members also appear on camera to illuminate the stories of their characters' trajectories, ambitions, success, and transgressions--as footage of the original locations where the real-life characters convened and lived and preserved artifacts they used are interwoven throughout the narrative. You can tell that the actors themselves were also deeply impacted by the roles they played. 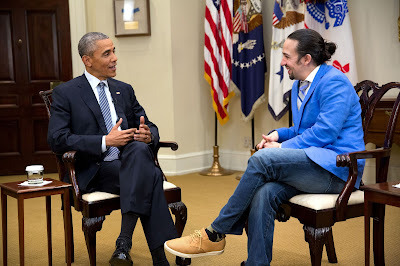 Historians, entertainers, and politicians, including President Barack Obama, Annette Gordon-Reed, Jimmy Fallon, Questlove, Nas, and George W. Bush, also peppered the narrative with how the show has affected their lives, research, and connected the musical narrative with these important influencers. Hamilton's America highlights the importance of the show's narrative--which is a brilliant way to teach anyone the history of some of America's Founding Fathers in a way that 1) doesn't bore them to tears and 2) helps them gain a more thorough appreciation for the influence of history in today's world (and within some of our contemporary heroes). Again, this is damn good publicity for the show (which--reminder--we may likely never see). If I had to identify one drawback from Hamilton's America, it would be how little was discussed about the rather monumental racial liberties of the casting. That could be, as one of the cast members infers in the film, because the audience is so deeply engaged in the story that the actors are mere vehicles of the story--and their race becomes an afterthought. Or, it could just be further indication of how Broadway is just leaps and bounds in front of all other entertainment mediums as far as racial acceptance goes. Still, it would have been nice for either Miranda or the casting director to acknowledge it as the cherry on the pie of an otherwise terrific documentary. 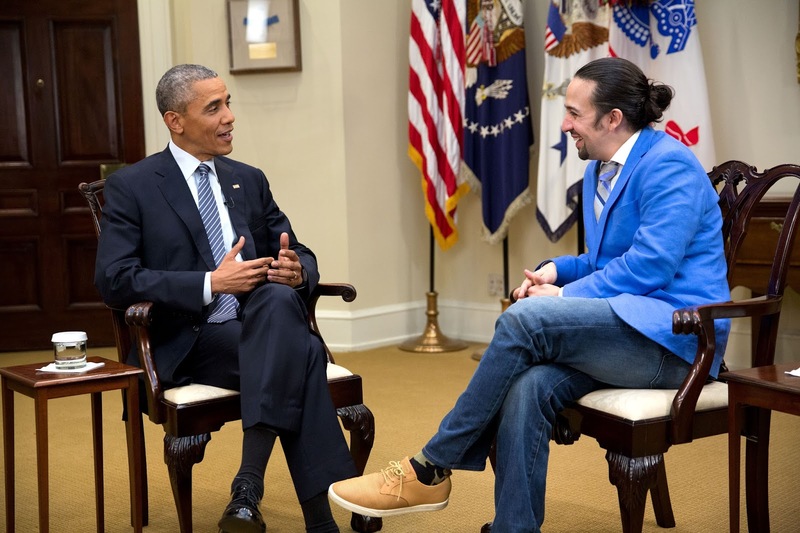 Hamilton's America premiered on PBS on Friday. Check your local listings for encore presentations. You can also watch the full film on the PBS Great Performances website. wow. thanks for this. haven't yet seen the show so i am definitely in line for the consolation prize. great review!